I've been making this cake from Martha Stewart for the last 6 months or so, pretty much every time I need a very yummy and fairly uncomplicated dessert for something. Now that it's officially fall, there is no better time than now for this cake! But even better and easier and more versatile is the CARAMEL SAUCE that goes with this cake! I made the cake last Sunday for a church lunch, and Monday morning I found myself with a little cup of leftover caramel sauce. It was just sitting there, on the kitchen counter, calling my name. At least I think it was calling my name. It sure sounded like it to me. 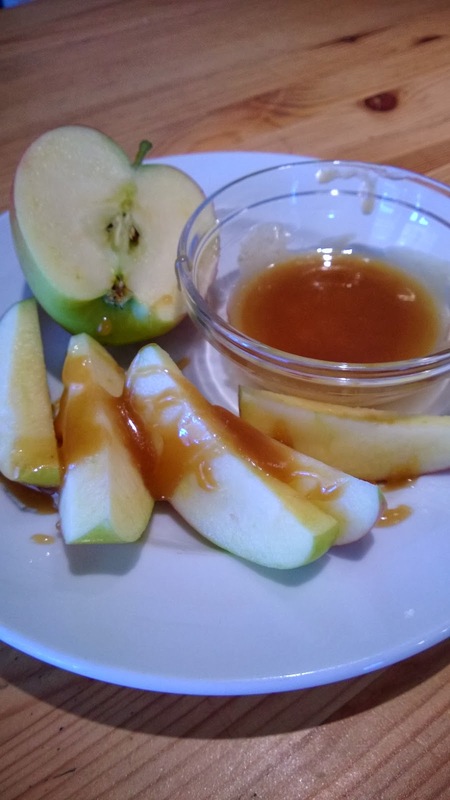 Anyway, the next thing I knew, I had cut a juicy apple into quarters and was dipping each slice into the rich, buttery caramel sauce. And yes, I did double dip. I knew there would be no leftovers today. 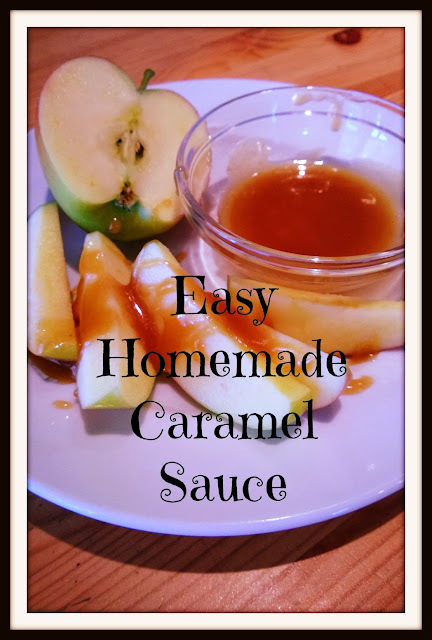 It seemed only fitting that I leave you with a few easy peasy recipes so that YOU can make your own caramel sauce. It's delicious! In fact, my son informed me last night that I need to make more so that he can just eat it with a spoon. Not a bad idea. Here is the easy recipe from Martha that goes with the apple spice cake. You can find a very similar one on her website here. Combine all ingredients in a small to medium saucepan (heavy-bottomed is nice to guard against burning). Cook over medium heat, stirring continually, until it's the desired consistency. See how easy that is?!? If you find yourself without evaporated milk, no worries. You can use heavy cream or even regular milk. Poke around online and you'll find all kinds of different recipes, some very complicated and scary and others not. I like this one because it is very simple, fool-proof, really. What else can you do with caramel sauce? Here are a few ideas: eat it with a spoon or drizzle it over any number of things, including ice cream, baked pears or apples, or baked goods. You could also put it in a cute jar and give it as a gift! Now get to it! A delicious snack awaits! I'm seeing burlap door hangers everywhere, and I figured it would be fun to have one for myself! I wanted mine BIG. 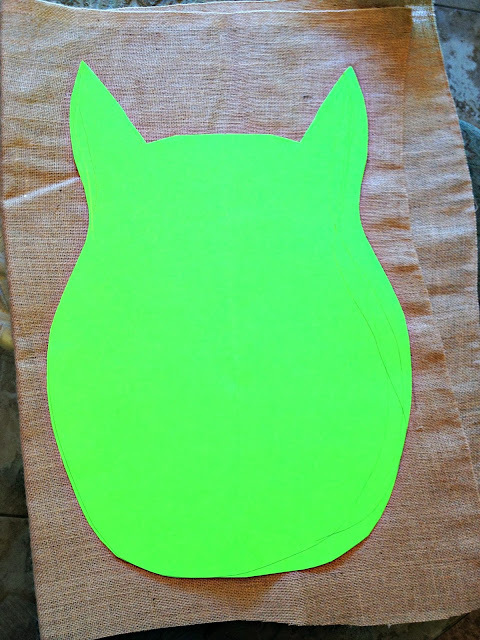 I used a piece of poster board and cut out the form. Then I traced the owl onto burlap and cut out a double thickness, allowing about an inch extra all around. I'm not good at guessing measurements. Maybe it's more than an inch. 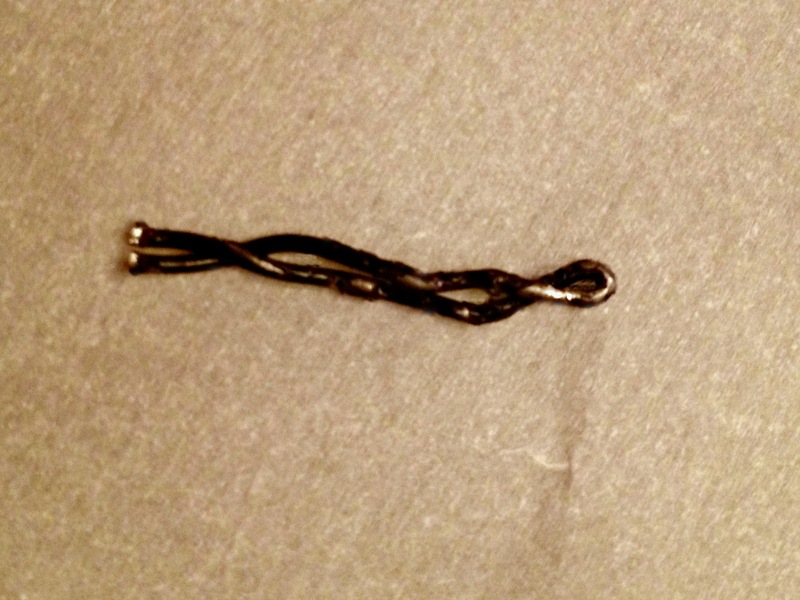 I didn't measure it or make it precise. 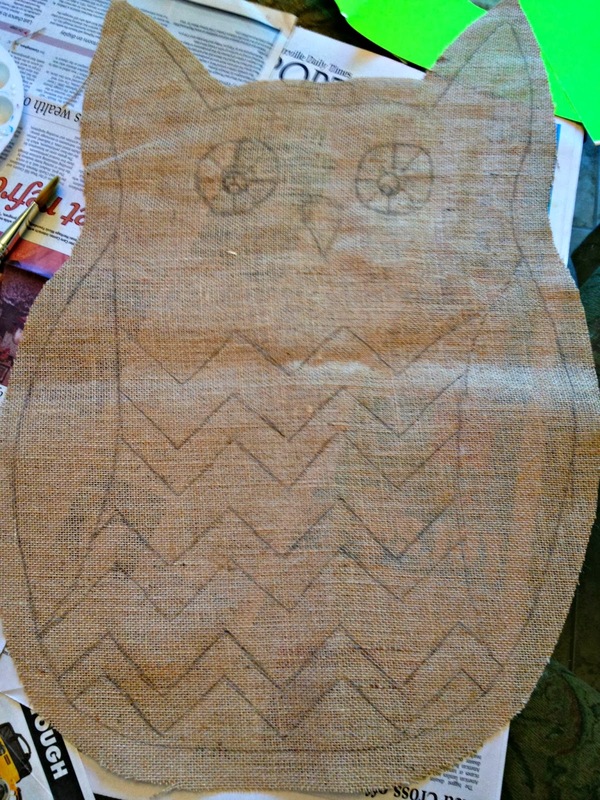 Next I removed the bottom layer of burlap, protected my table with newspaper, and sketched out the details of the owl. Next I painted it all in with acrylic paint. This was the part that took awhile, just because the burlap soaks up so much paint that it requires going back over it a few times. The only colors I used for this owl were a cream, black, a dusty green, metallic gold, orange, and purple. 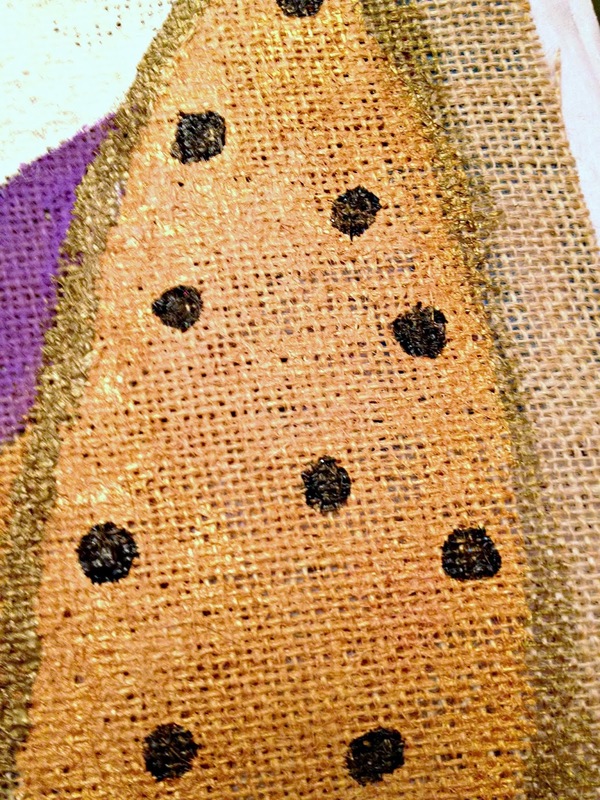 I also mixed a little glitter paint in with the black for a little extra dimension. And, yeah, because I like stuff that sparkles. 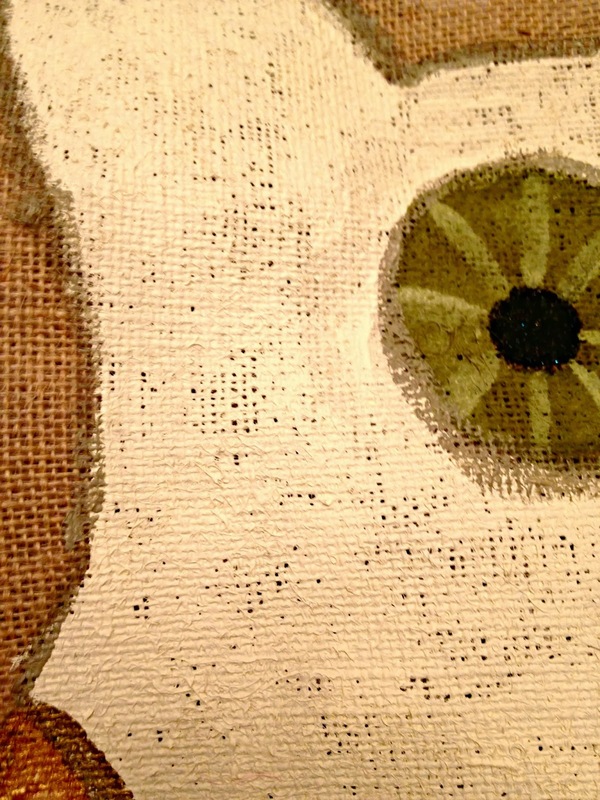 I mixed the green with the cream for the eye detail. After I painted everything in, I roughly outlined the main form, wings, and eyes with a flat brush, using a very inexact mixture of gold, black and green. 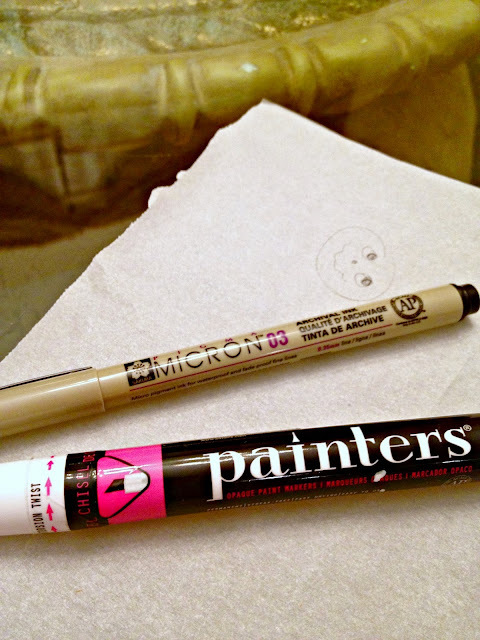 For the polkadots, I just dipped a fresh pencil eraser into the paint and pressed it down. Easy! 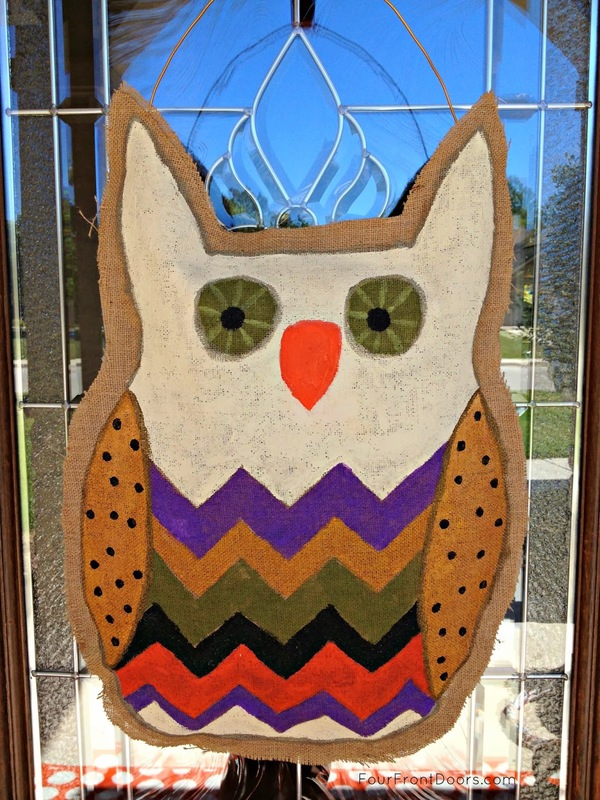 Here's something you might want to try if you make one of these. I wish I'd known this tip before I started. I've heard that if you Mod Podge the whole thing before you start, it makes the painting go much easier. I've also heard of using an inexpensive fabric starch like Sta-Flo. I'm thinking it couldn't hurt to try. Now let that paint dry. 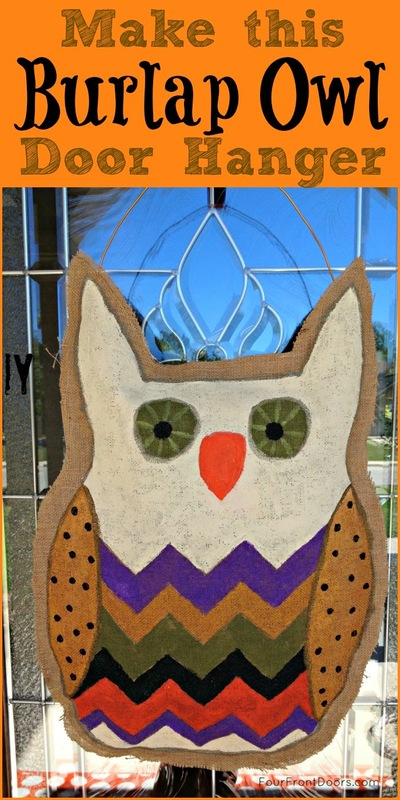 The paint is going to stiffen up that burlap like you won't believe, which is pretty good if you're hanging this outside. 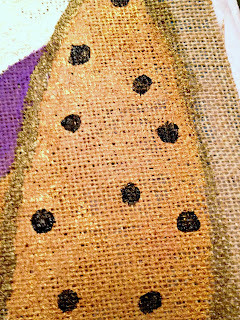 Next I hot glued the front to the back piece of burlap following the unpainted edges, working in small sections and stuffing with plastic bags as I went along. 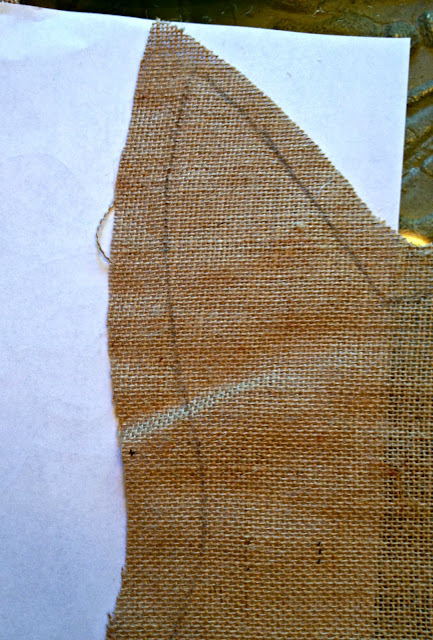 You could also use leftover waxed paper or parchment. If you're going to be using it indoors only, you could probably use fabric or tissue paper or even newspaper. If it's going outside, be sure you use something more water-resistant. After I got the whole thing stuffed and glued, I took a piece of floral wire and stuck it through burlap's weave in the back and twisted the ends around to hold it in place. You can leave the ends out the front and curl them, but I felt like there was enough detail on mine that I'd leave the wire ends on the back. I didn't use any kind of sealant on mine, because my front porch is covered and pretty protected, but feel free to seal yours if you like. 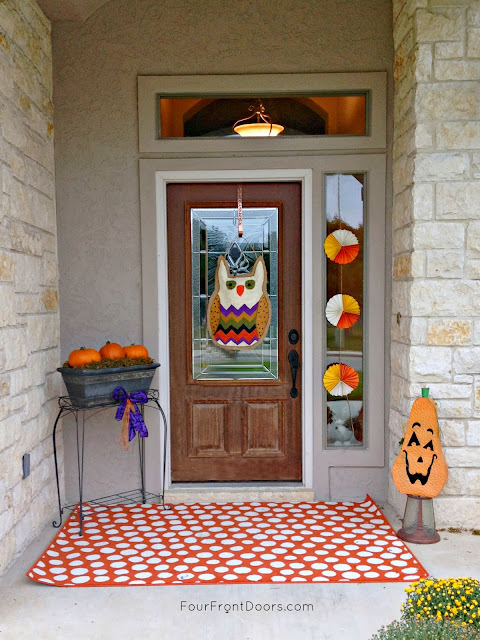 Now go hang that on a wreath hanger on your door, and enjoy looking at it whenever you step outside! Like it? Feel free to Pin it! Last week was my turn to host book club, and I wanted to make a delicious meal for my "lady friends" (that's what my children call my book club friends). I was making one of our favorite soups and a great salad; seemed to me like a nice, crusty bread would be perfect with that! So I did what people do nowadays; I googled "artisan bread recipe". I found a recipe here that seemed like a good one, and pretty easy. I made it that afternoon and got rave reviews at book club that night! 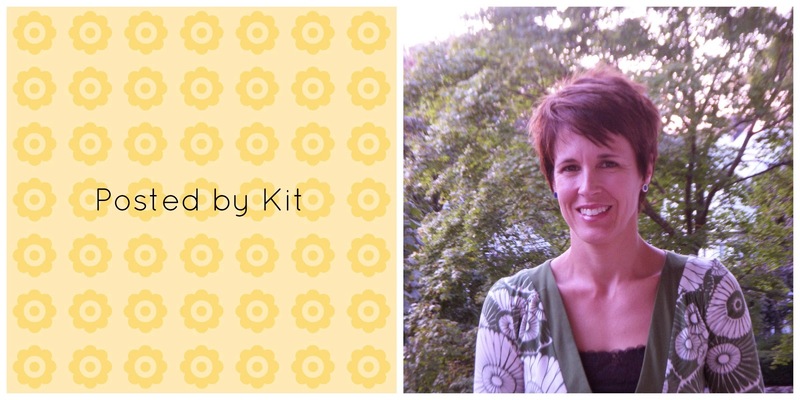 So here I will share with you the recipe that belongs to Natasha at Natasha's Kitchen. 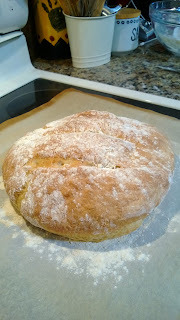 Even if you're not really a bread maker, or a baker, you can do this! It's only got four ingredients, and seems to be pretty much fool-proof! I hope you give it a try. First, add 1 1/2 cups of very warm water to a large bowl. Sprinkle in 1/2 tablespoon of salt and 3/4 tablespoon of yeast. Stir and let it sit for a minute or two. It will look like this. 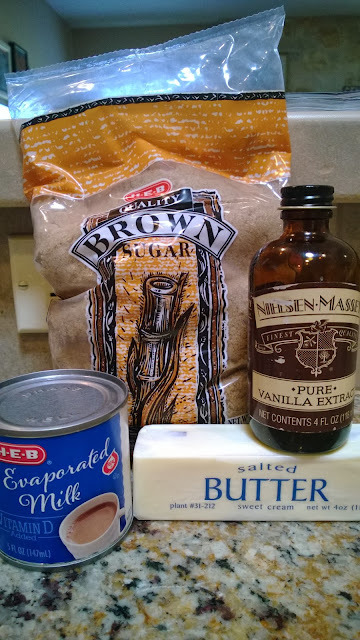 Gently stir it again, and then measure out three cups of regular flour and add to the liquid mixture. Quick tip: do you know the correct method for measuring out flour in baking? Use a spoon to lightly fill the cup measure. Then use the straight side of a table knife to level the flour. You never want to pack down the flour when you're baking. Just in case you didn't already know! Using a wooden spoon, stir the dough until it forms a rough ball, as shown. Cover the bowl with a loose-fitting lid or with plastic wrap. Allow the dough to rise for 2 hours. Quick tip: Yeast rises better in a warm-ish environment. If my house is drafty or cool on a baking day, I will turn my oven to a low temperature, and sit the dough bowl on the oven to rise. It gives it just enough warmth to rise nicely without taking too long! Here is the dough after rising 2 hours. Now, spread a piece of parchment paper on the counter and generously dust it with flour. Scrape the dough from the bowl onto the floured surface. Using generously floured hands, fold the dough over once, and then fold again. Gently form the dough into a round shape (this will be the shape of your loaf!). Allow the dough to rise again, uncovered, for 45 minutes. When it is done rising, cut three slits in the top of your bread using a very sharp knife. This will make your bread picture-perfect! Place the bread, parchment paper and all, on a flat baking sheet. Now it's time to bake! Preheat the oven to 450 degrees, and make sure you have two racks to work with. On the bottom rack, place a metal baking dish (as seen in the photo above) filled with 1 cup of water. Place the bread on the baking sheet on the top rack and bake for 20-25 minutes. And here you have it! This loaf turned out a bit browner than my first because the doorbell rang just as I should have been taking it out of the oven. However, the crust is just the right crispness! 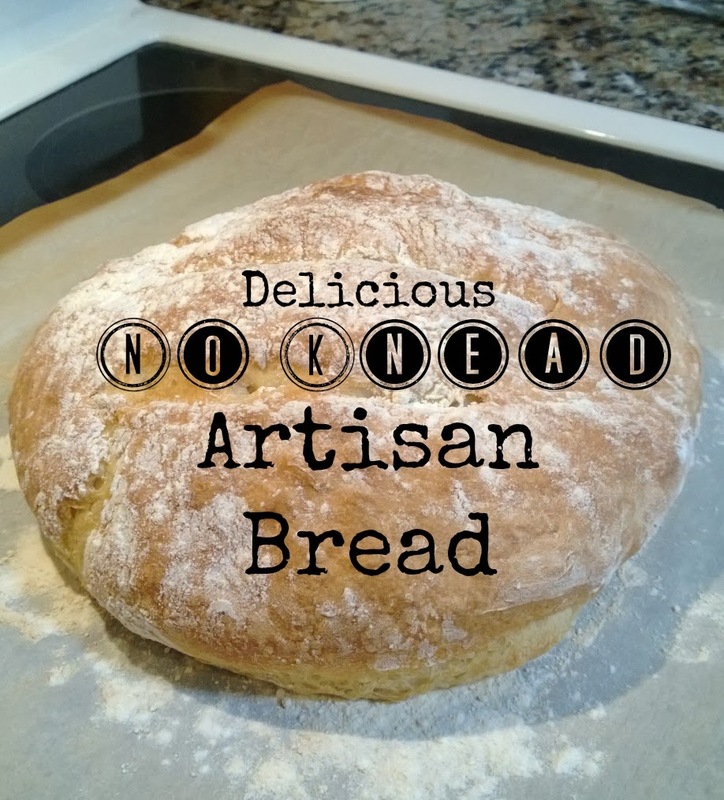 The end result is a soft, delicious bread, great with soup, or butter, or as a sandwich. 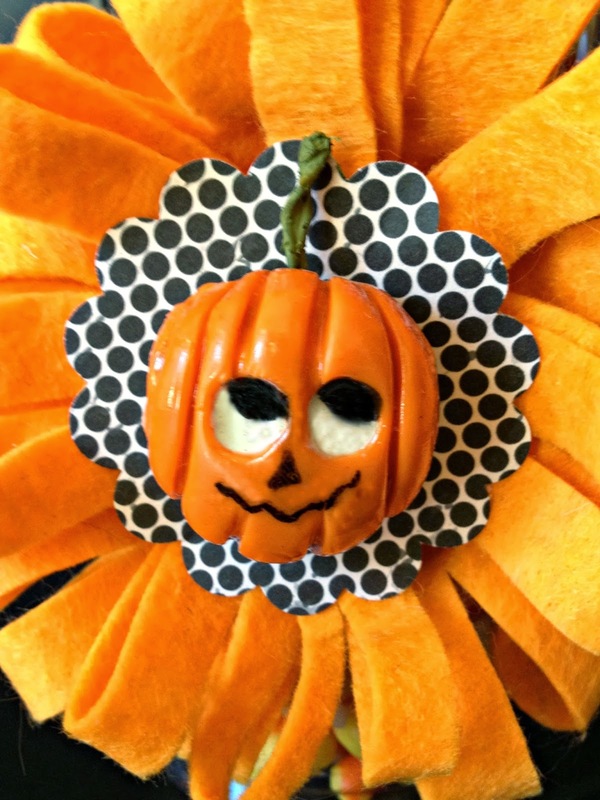 In fact, my kids have been asking me to make this again. Won't they be happy when they get home from school today?! I hope you enjoy this as much as we have! To make this sweet candy display, I started by making a little clay pumpkin. 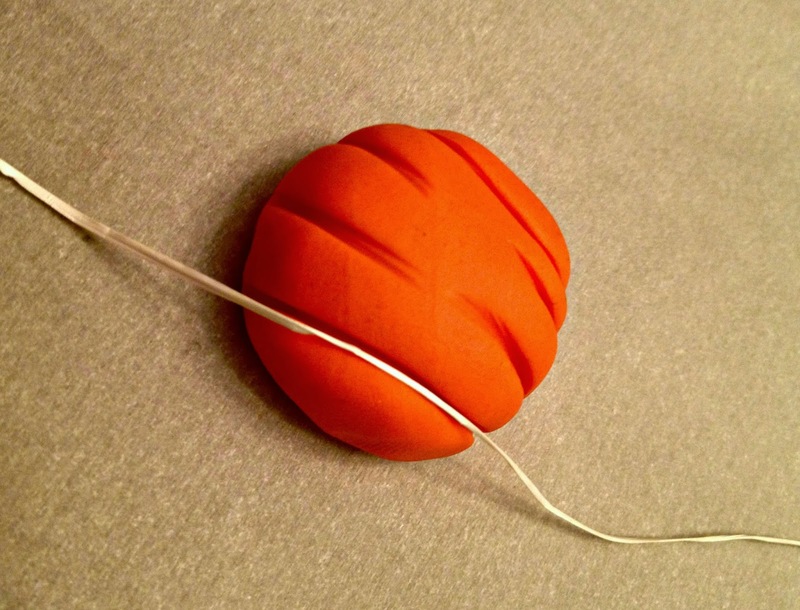 Just roll a ball of orange clay, then flatten it slightly. Use a string or dental floss to form ridges, leaving the middle part free of ridges so you can paint the face easier. 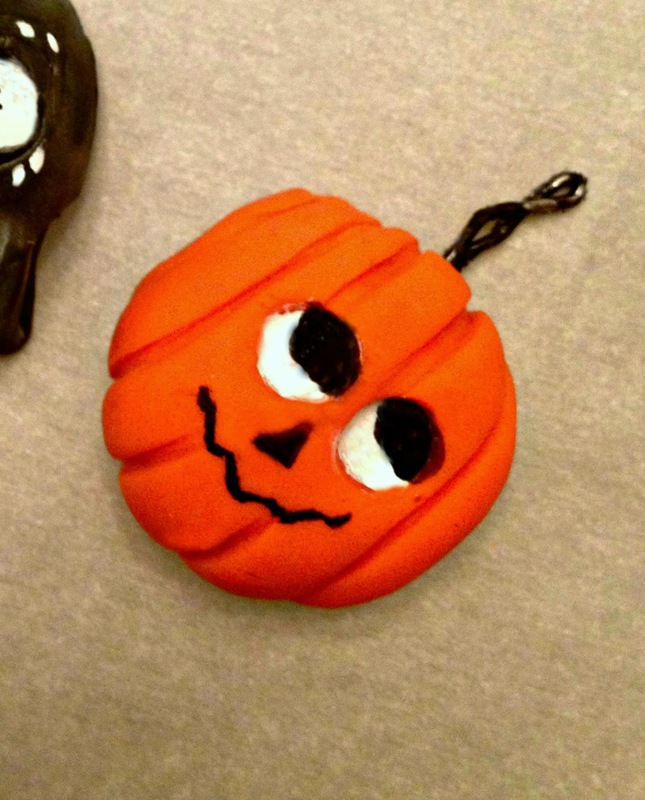 I then pressed the eraser end of a pencil into the clay for the eye sockets (not shown). After it cooled, I used a white paint pen and a black Micron pen to add features. I finished it off by painting the stem green and giving the whole thing a glossy finish with spray gloss lacquer after it dried. After letting the gloss dry, I hot glued the pumpkin to a felt flower (instructions for flower here). Then I put a ribbon around a plain clear plastic cup (you could also use a glass jar), and glued the flower to the ribbon, being careful not to melt the cup. 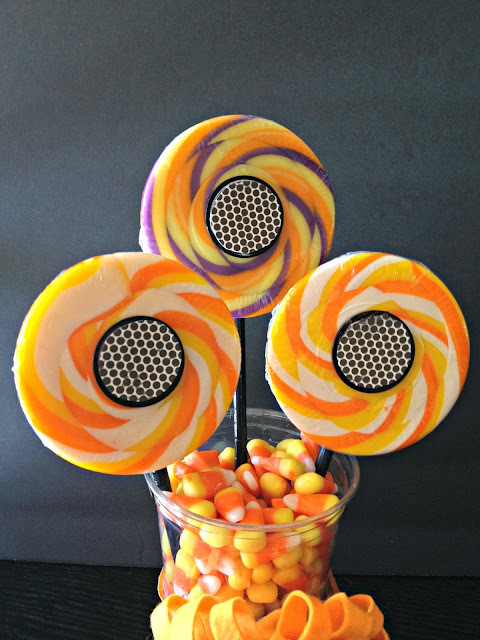 I added candy corn and these cute swirly lollipops from the dollar store. 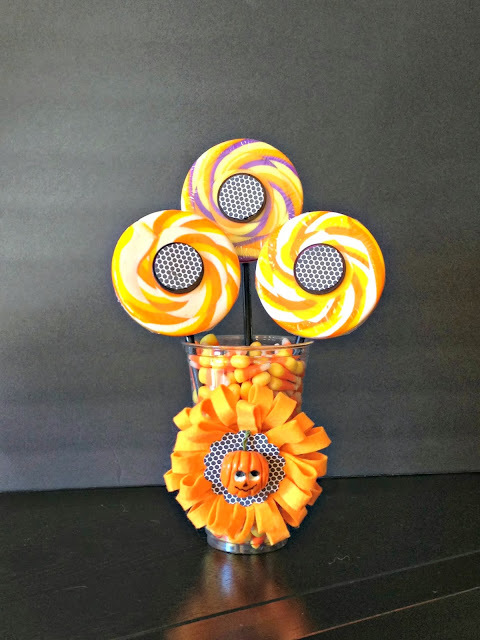 They are spin pops and had a label in the center that I couldn't remove, so I just cut paper that coordinated with the flower to cover them up. A few weeks ago I posted about parenting transitions -- those times when we find that the things that have worked for us in relating to and helping our children just don't seem to have the same effect. I shared a list of books I've read or am currently reading to help me through such a time. 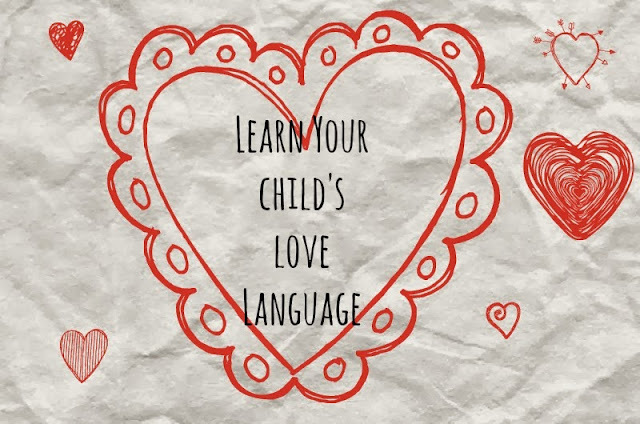 The concept comes from the book The Five Love Languages by Gary Chapman. My husband and I read were required to read this book as part of our pre-marital counseling, and the concepts have really stuck with me. The premise is that not everyone receives or feels love in the same ways. For example, I really feel loved when my husband helps me with the things I need to do -- laundry, cooking, ferrying children around, taking care of the car. Chapman calls these acts of service. However, my husband feels loved in different ways --when I give him thoughtful gifts, or with physical contact (bow chicka bow bow!). With the help of a handy and fun online tool, you and your children (and your spouse!) can find out each other's love languages and then set about loving each other better! I think this Love Language survey is a really useful tool for families. Last week I told our high school counselor about it, and she said she planned to use it with her students, to help them understand themselves and their own parents and siblings. If you want to try out the tool, go here. It's free and the website has lots of other good information that you may find helpful. Have fun with it! Markers on Mugs - Does it Really Work? Anyone Can Make This Ring!